1. An individual’s ability to earn a livelihood is changing and, in most cases, reducing. The impact of automation is redrawing the shape of all organizations. 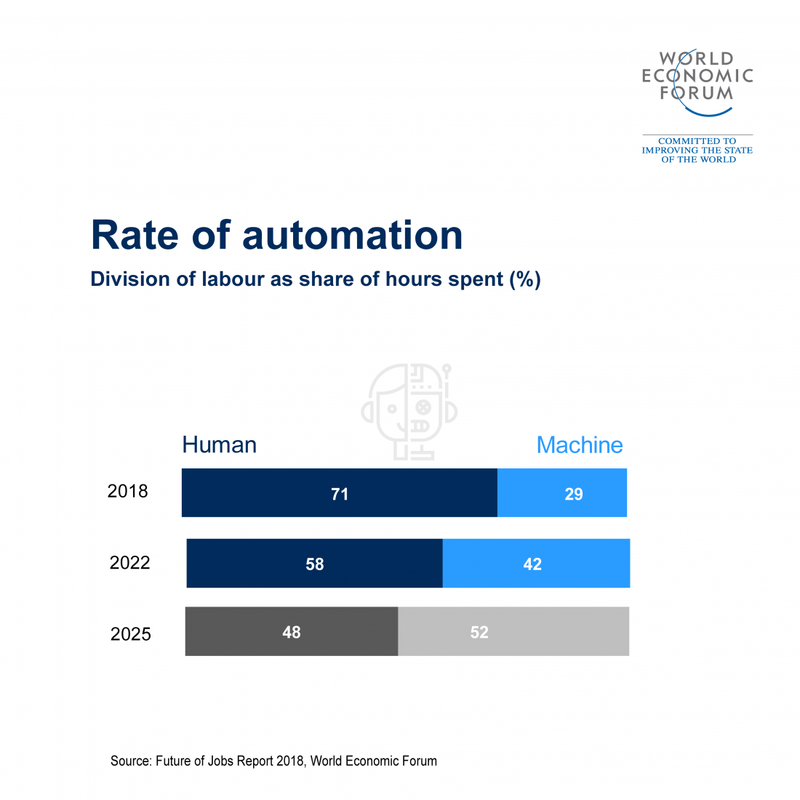 The World Economic Forum’s Future of Jobs 2018 report suggests the human share of labour hours will drop from 71% to 58% by 2025. Machines and algorithms will increase their contribution to specific job tasks by an average of 57%. 2. The demand for human skills is not in decline. There is a net positive outlook for jobs despite significant job disruption, and human skills, as well as jobs with distinctly human traits, are still in demand. 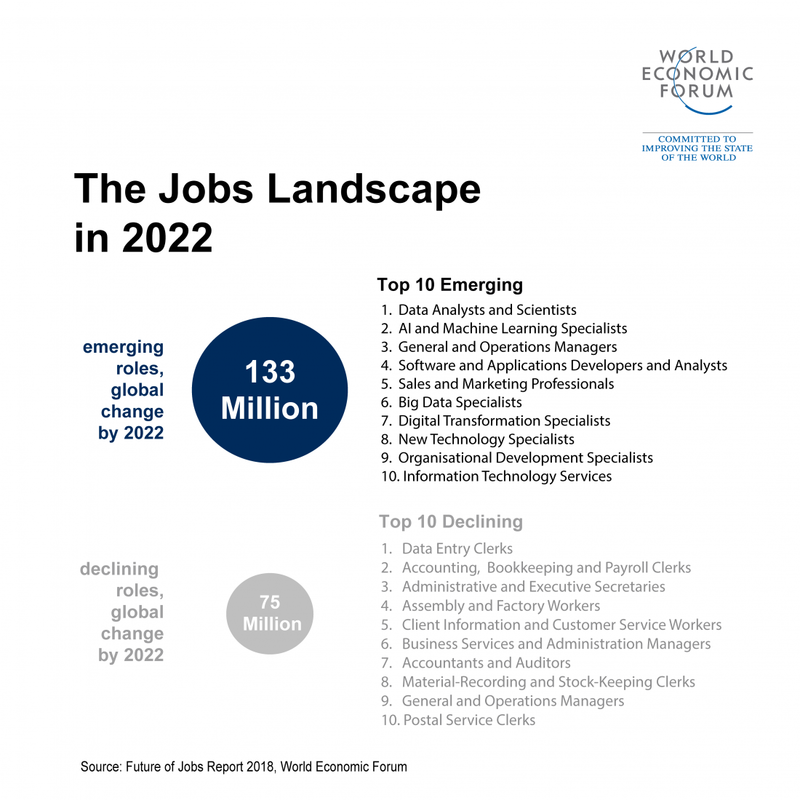 According to the Future of Jobs report, 75 million current jobs will be displaced by the shift in the division of labour between humans, machines and algorithms, but 133 million new jobs will be created as well.